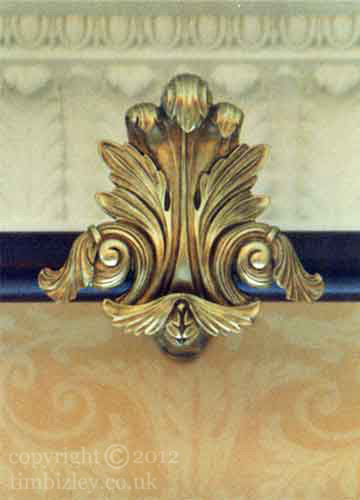 Oil gilding is useful for providing emphasis to suitable mouldings. Many paints now offer reasonable alternatives to gilding but lack the feel and brilliance of real gold leaf. This paint effect was achieved with bronze powder and as such provides a passable rendition of real oil gilding. We undertake oil gilding when this is required and can be afforded.